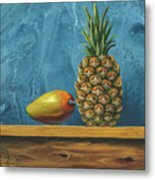 Mango And Pineapple is a painting by Darice Machel McGuire which was uploaded on September 1st, 2018. 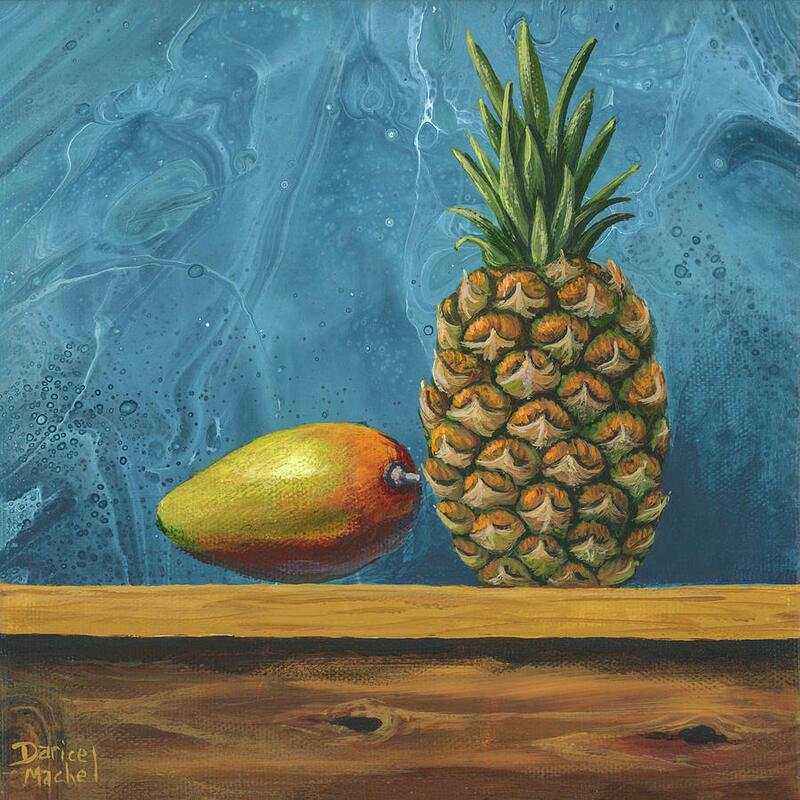 I'm changing things up with this tropical still life on an acrylic pour background. I happen to love pineapples to eat and to paint. 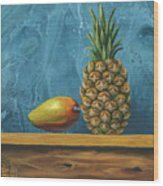 When I added the pineapple on the wood table it looked lonely. 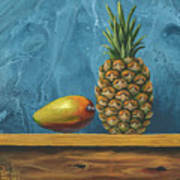 I started researching other tropical fruit that would look good next to it and came up with a mango. I'm quite pleased with the pairing of these two sweet juicy fruits. The abstract looking background was done in the acrylic pour technique. I love how the paint created a marbleized effect in this one. 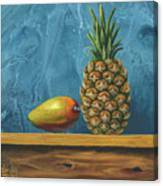 "Copyright 2018, Darice Machel McGuire, all rights reserved"
Lovely painting and color complements, and the fruits do pair well, taste-wise and visually!